NBA Legend, entrepreneur and philanthropist Earvin "Magic" Johnson received the 3rd annual USA TODAY Hollywood Hero Award presented by USA TODAY President and Publisher Craig A. Moon. A long-time humanitarian and social advocate, Johnson was honored for his work in entertainment, underserved communities and the founding of the Magic Johnson Foundation. 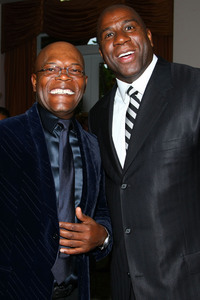 The caliber of celebrities who came out to honor Magic Johnson for his outstanding work in raising awareness about HIV/AIDS prevention in minority communities was nothing short of spectacular. Guests including Chaka Khan, Samuel L. Jackson, Regina King, Russell Simmons and others, offered their words of praise to Magic Johnson, and by the end of the night there was barely a dry eye in the house. “I want to thank you for loving mankind, " said Chaka Kahn during her speech. Words such as courage, inspiration, love, admiration, respect, thank-you, and perseverance were prevalent in all speeches. Chanté Moore and her nine-piece band, including Kenny Lattimore, performed at the gala, which was held at the Beverly Hills Hotel. Other guests included: LA Mayor Antonio Villaraigosa, Paul Sorvino, Mo’Nique, Phil Jackson (LA Lakers Coach), Jeanie Buss (LA Lakers Exec), Kurt Rambis, Malcolm-Jamal Warner, Susan DeLaurentis (Producer), Miguel A. Nunez (Kickin’ It Old School), William Abadie (Cashmere Mafia), Jimmy Jean-Louis (Heroes), Steven Sawalich (Director), Telma Hopkins (Love Guru), Judge Joe Brown, and the recipient of the first USA Hollywood Hero Award, Zina Bethune. The USA TODAY Hollywood Hero Award is presented annually to an entertainment industry humanitarian who has made remarkable contributions of time and energies with a non-profit organization dedicated to enriching the quality of life for others. 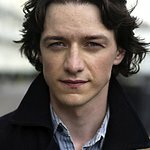 The USA TODAY Hollywood Hero Award recipient is unique in that his or her efforts extend far beyond a charitable contribution or simply lending one’s celebrity to enhance a cause or concern. 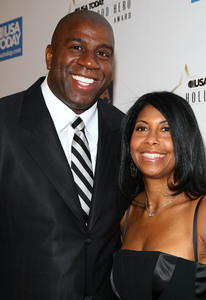 The Magic Johnson Foundation, founded by Earvin “Magic” Johnson in 1991, works to develop programs and support community-based organizations that address the educational, health and social needs of ethnically diverse, urban communities. 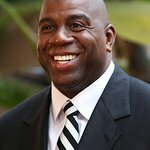 Over the past few years, the Magic Johnson Foundation has awarded more than $1.1 million to community-based organizations that focus on HIV/AIDS education and prevention, supported more than 800 minority high school students with college scholarships (through the Taylor Michaels Scholarship Program), opened 20 Magic Johnson Community Empowerment Centers located in underserved communities across the country, and provided a range of community-based initiatives including an annual Children’s Mardi Gras and holiday toy drive.